The Dynabook research project was a collaborative effort aimed at developing and evaluating a new interactive Web-based resource for use in teacher education to improve how teachers learn to teach middle-school mathematics. 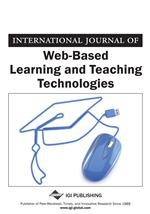 This paper describes the outcomes of research during a three-year project to develop and evaluate the effectiveness of the “Dynabook.” The purpose of this mixed methods study was to understand how special education college faculty used the proportional Dynabook and how it affected the learning of teacher candidates in their courses, as it was being designed and modified over a period of three years. In the results, faculty note an improvement in the credential candidates' skills in solving proportional problems and answering pedagogical content knowledge questions, and in their mathematical thinking as measured in complexity of classroom discussions. The candidates also reported feeling more confident in their teaching of proportional reasoning, their implementation of UDL, and understanding of TPACK. The Dynabook Project is a collaborative research effort aimed at understanding new interactive Web-based resource for use in teacher education to improve how teachers learn to teach middle school mathematics. The full team included, a) faculty from two California state universities (CSU’s); b) researchers, mathematicians, and technical designers from SRI International, a nonprofit organization that has created digital materials for learning mathematics using dynamic graphical representations (Roschelle, 2010; Roschelle, Shechtman, & Tatar, et al., 2010); c) CAST, another nonprofit organization that has developed digital materials, including a framework for creating these materials using Universal Design for Learning UDL (Rose & Meyer, 2002; Rose, Meyer, & Hitchcock, 2005); and d) Inverness Research, the external evaluator. This article presents the research collected from the special education (SPED) students (pre-service special education teachers). The SPED faculty members took part in this three-year grant project developing and evaluating an electronic math textbook called the “Dynabook.” The purpose of this paper was to examine what the SPED faculty learned over the three years while they were assisting with designing and examining the effects of this mathematics tool with their graduate credential candidate students. The original goal was of developing a digital textbook changed quickly when the team first came together five years ago. First, it became clear that a digital textbook (traditionally conceived) would not take advantage of the multimedia capabilities of the Web in the way that was most effective. Second, there was confusion on whether the technology should be designed for use by the college faculty, the K-12 teachers, or both. It wasn’t until individual team members came together that they realized the needs of those two groups overlapped in some ways, but were quite different in others, so they chose to target teacher educators. Third, the teacher educators on the team, two math professors who taught liberal studies undergraduates and two special education professors who taught graduate students working on a credential to teach students with learning differences, had varied challenges. Both groups of faculty members were preparing students to become teachers but had very different needs and goals. The math professors were preparing undergraduates who might become middle school math teachers in general education classrooms. The special education faculty were preparing pre-service and in-service teachers who teach math as well as all other content areas for students with learning differences in kindergarten through grade 12. The new direction was to develop something that worked for both groups. The current Dynabook includes dynamic representations (for example an interactive ratio bar), videos of children solving problems, a shared workspace (like a built in white board), examples of practice problems and something the developers call “Dynalogue,” a feature that allows students to animate two characters so they can engage in problem solving scenarios. These features were intended to help teacher educators instruct middle school teachers about how children think about proportionality, including their misconceptions and the strategies they used when solving problems. In addition, university instructors could create a social learning environment for teacher candidates so they could work together and present their ideas openly through this shared-work space.